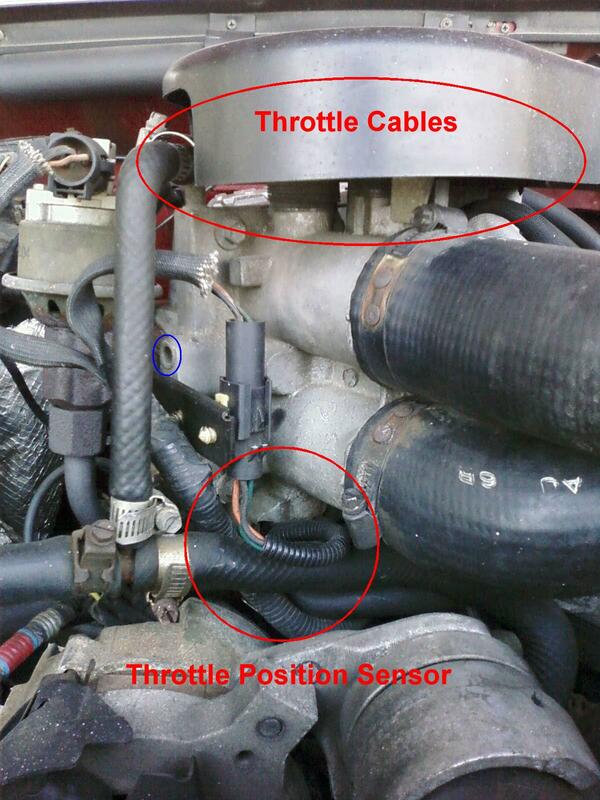 Technical Car Experts Answers everything you need: Antifreeze leaking from freeze plug on throttle body? Antifreeze leaking from freeze plug on throttle body? The problem is noticed on ford vehicle. If it is leaking out of the freeze plug on the side of the throttle body, the usual fix is to replace the throttle body. Also, you can temporarily bypass the throttle body coolant circuit by disconnecting the two small hoses from the throttle body and connecting them together with a coupler or a new hose that leaves the throttle body out of the loop so there is no longer any coolant in it. The coolant circulates inside the throttle body to prevent the throttle from freezing open in cold temperatures. Supposedly the hot coolant also helps with reduced emissions. Ultimately, it is probably best to repair the leak and restore the connections to the throttle body, but for now, bypass it to stop the leak. You could try to get the plug out by drilling, pulling, cutting as needed. Then you could find a new plug or thread the hole for a pipe plug, or use JB Weld, SEAL-ALL or epoxy putty like WATERWELD to seal over the leak. If you use an adhesive to block the leak, use some brake cleaner to clean the area first and make sure the leak is stopped by draining a bit of coolant until the throttle body stops dripping. The choice is up to you whether to replace throttle body or try to reseal the one you have. Where is freeze plug located on 1994 Oldsmobile 88 Royal? Where is freeze plug located on Chevrolet Impala?